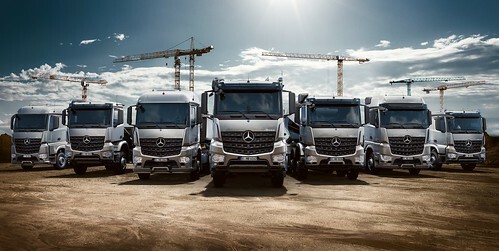 Mercedes-Benz has achieved a triple leap forward in the field of Euro VI compliance: this year the brand with the star is expanding its current heavy-duty vehicle range with the addition of the Arocs. 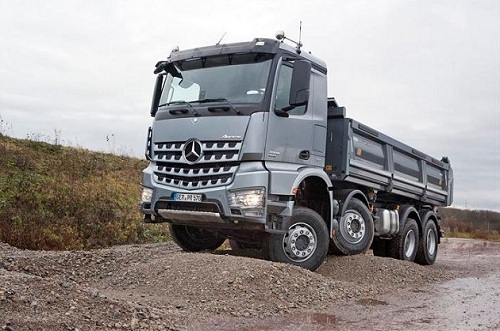 This specialist in construction follows hot on the heels of the Antos, which celebrated its market launch in the heavy-duty short-radius distribution sector in 2012, and the Actros, which celebrated its market launch in the long-distance transport sector in 2011. 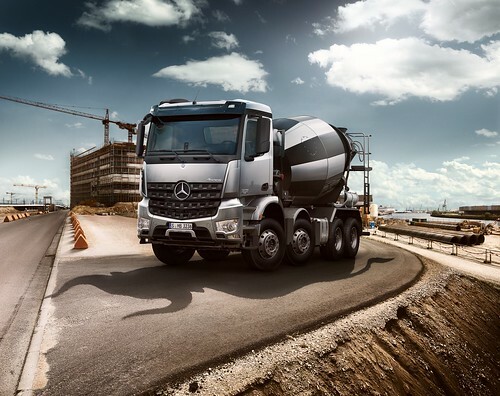 In addition to maximum environmental compatibility thanks to Euro VI, the new Arocs vehicles also boast three outstanding qualities: power, efficiency and strength. 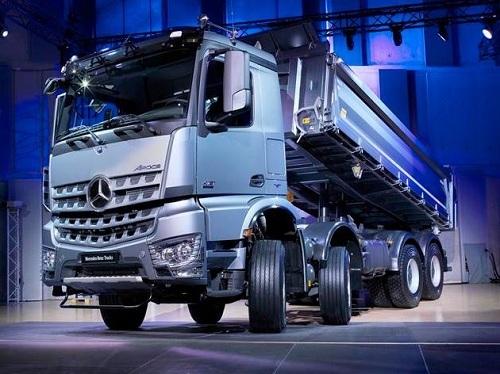 This entry was posted in Mercedes Benz, Photos, SCOOP!! by truckbloguk. Bookmark the permalink.